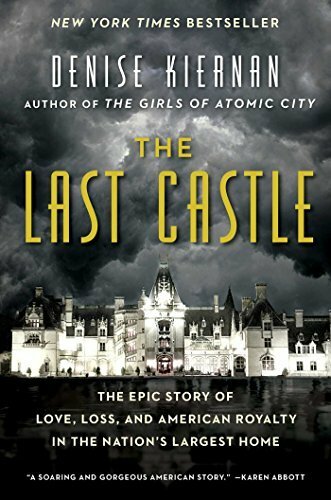 From the author of the New York Times bestseller The Girls of Atomic City comes the fascinating true story behind the magnificent Gilded Age mansion Biltmore—the largest, grandest residence ever built in the United States. I love non-fiction books, but they aren’t always well written. This book though, The Last Castle, is a well written fascinating non-ficiton read. I knew very little about Biltmore and the Vanderbilt family, so I loved that aspect of the book. But I also loved that this book contained so much history in general. From basic facts about presidents, Europe, the depression, to lesser known facts about forestry and architecture in American. Now someday, I just need to visit Biltmore.